By using formula memo, keys can be input continuously by the procedure registered in advance. With this function, you can simplify calculations and unit conversion. And you can assign it to a key of the calculator, then you can convert by clicking one button. And you can assign it to a key of the calculator. 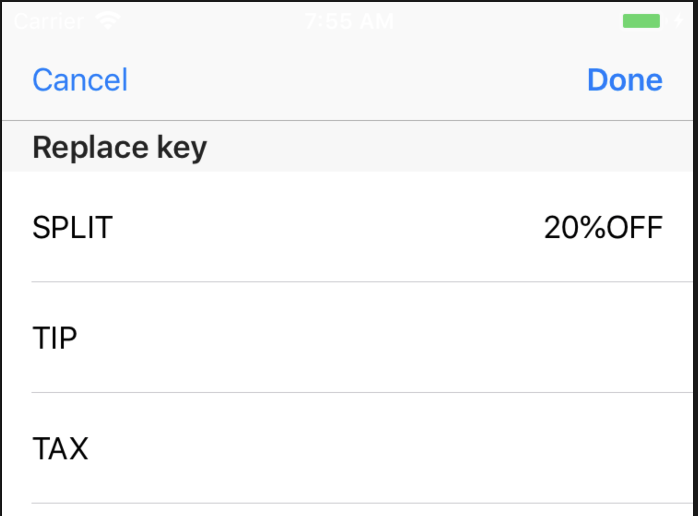 The formula memo function is a function on the iOS device and can not be used with Apple Watch or Apple TV. 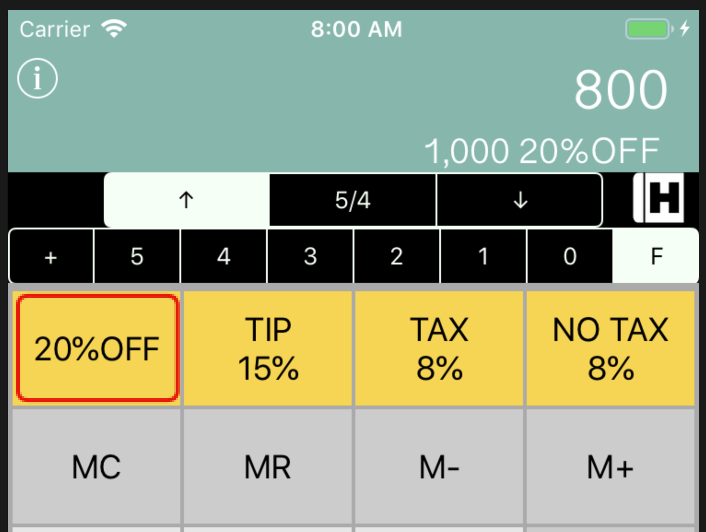 If you use formula memo, you can calculate it by 1000 20%OFF. How to register and use an expression memo. Longer press the result display field and select formula memo from the menu. Open history view by clicking the history button. Procedure - 2 0 % is registered as an expression memo. You can check with the memo tab of history. You can set a descriptive name in the formula memo. Slide the line of formula memo to the left and choose Edit. Instead of sliding a line, you can also press and hold the line to display the menu. It is registered with a return key. Back to the calculator screen press 1 0 0 0. Press registered formula memo 20%OFF. A calculation of 2 discounts was made by the formula memo. Slide the line of formula memo to the left and choose Assign key. Instead of sliding a line, you can also press and hold the line to display the menu. It shows replaceable keys. Select the key to replace. In this example, select the SPLIT key. Press the Done button to register. 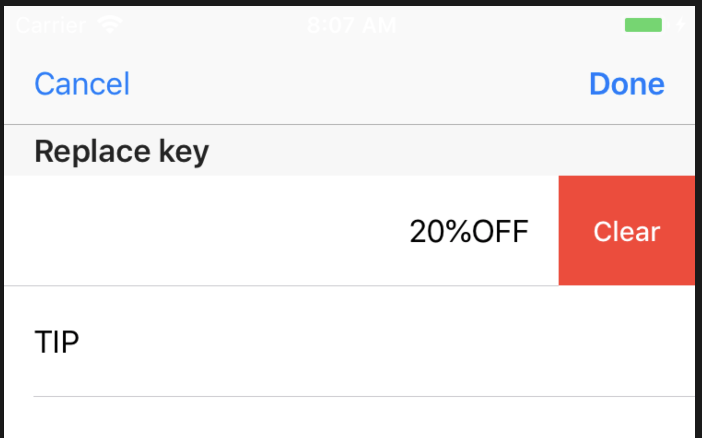 It shows the 20%OFF key instead of the SPLIT key. You can calculate 20 % OFF by clicking this button. For clearing the assigned key, slide the line of the key to the left and choose Clear. Instead of sliding a line, you can also press and hold the line to display the menu.